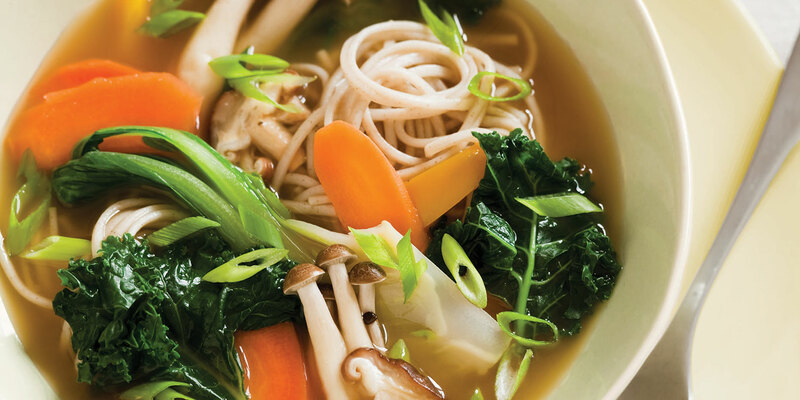 Bring broth to a boil; add buckwheat noodles and shitake mushrooms. Add chili paste, place broth and noodles in a large bowl and garnish with poached egg, nori, and scallion. Beau’s thoughts: Noodle bowls nourish the soul, and this is a fun dish to eat. As well as make. It’s really about the different level of texture with this refreshing broth. And you can defiantly put your own unique touches. Sometimes I add pickled vegetables, and if you want a hot element, kick it up with some chili paste.